First Network Group Inc. (FNGi) is a specialist in building and maintaining Internet Service Provider Networks. We make our home in historic downtown Wapakoneta, Ohio. 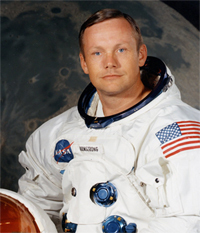 You may be familiar with Wapakoneta as the birth place of Neil Armstrong, the first man to walk on the moon. The same Midwest values and work ethic that led to that momentous event still exists here today. The embracing of new and cutting-edge technology, not in a race to the moon, but for a better way to communicate for all mankind. We believe the internet unites the human race together and through it we are able to achieve the unbelievable. Instrumental in developing the first Bright.Net network (Ohio), FNGi manages Internet Networks and offers products and services across the entire United States. Our team specializes in every phase of your Internet Network from initial planning through long-term support. Find out how a solution from First Network Group can fit your needs and budget.